There are several prerequisites for the Salaat to be valid. 1. TIME: The Salaat must be prayed at the proper time. There is a specific time period for each prayer. You can read more about the specific times of Salaat by clicking here. 2. PLACE & DIRECTION: one should pray in a clean place (i.e. there should not be any visible impurities such as described below). Using a Musallah (prayer mat) is not mandatory, but in general it ensures that the place of prayer is clean.One should pray facing in the direction of the Qibla (towards Makkah). You can find the direction of Qibla in your area by visiting http://www.qiblalocator.com/ . 3. CLOTHES: the clothes should be free of any impurity or filth (i.e. urine, feces, sexual discharge or menstrual blood). The note should also be appropriately covering the body. For men, the clothes should cover at least from the belly button to the knees. For women, only the hands and the face can remain uncovered. It's generally advisable to wear presentable clothes as a token of respect for the Salaat. 4. BODILY PURIFICATION: Doing Wudoo or Ghusl to remove impurities. 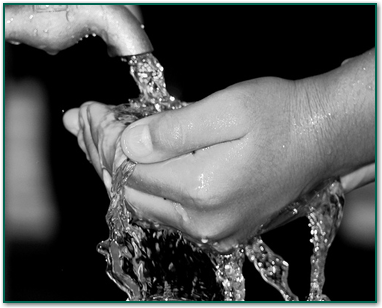 Click here for details of how to remove impurities and perform Wudoo and Ghusl.